Never give acetaminophen or other pain/fever reducer to an infant under 2 months of age without consulting your child’s physician . In addition, do not give ibuprofen to an infant under the age of 6 months. Temperature should be measured under the arm or rectally in children under 12 months; ear (otic) thermometers should be reserved for children over the age of 12 months. An oral thermometer is not appropriate until your child can hold it under his tongue for several minutes without biting (usually around age 5). Treat your child, not a number on the thermometer. Your goal in treating a fever is to make your child comfortable, not to make the number lower. 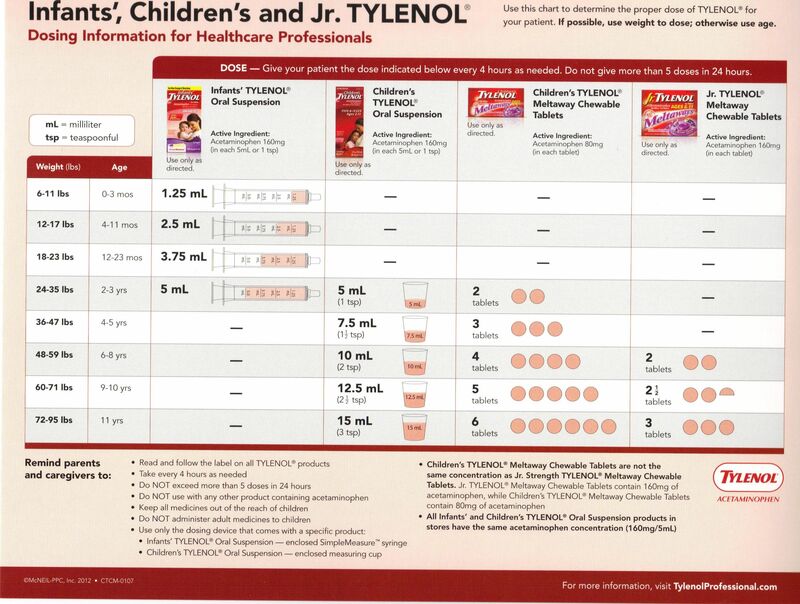 Use your child’s most current weight when choosing an appropriate dose of medication.